John is the Managing Partner of Dentons' Vancouver office and a partner in Dentons' Restructuring, Insolvency and Bankruptcy group. 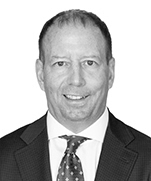 An accomplished business leader, John brings many years of leadership experience to the firm as well as more than 25 years of experience in corporate restructuring and reorganization matters to his clients. Prior to becoming Managing Partner of the Vancouver office, John held several leadership roles within the Firm as a member of the Canada Region Board and globally in roles on the Advisory Board of the Asia Pacific Region of Dentons and our Global Advisory Committee. Highly regarded for his work in restructuring, insolvency and bankruptcy matters, John regularly acts for companies in need of restructuring as well as for trustees, receivers, financial institutions, commercial lenders, noteholders and other creditors. John has practised exclusively in the insolvency area for more than 26 years, spending the first part of his career in Toronto, until he relocated to Vancouver in 1997. John has extensive experience with restructurings under both the Companies’ Creditors Arrangement Act and the Canadian Bankruptcy and Insolvency Act and has been involved in numerous real estate, technology, forestry and mining industry matters in the last several years. He also has a working familiarity with the United States Bankruptcy Code in the context of his cross border experience and cases. Additionally, in his practice, John regularly advises internationally-based companies on lending and remedy issues in Canada and is frequently retained by other international law firms on Canadian bankruptcy issues. Having been involved in most of the major restructurings and insolvency cases in British Columbia in the last several years, John has extensive experience in mining, forestry, real estate, aviation, energy, retail, media and technology as well as manufacturing. John has authored, presented and published several articles and papers in the insolvency and creditors’ rights areas. He is a past contributing author to the Annual Review of Insolvency Law. As well, John is a member of the editorial boards of the National Insolvency Review and National Creditor Debtor Review, and is a member (and recently appointed board member) of the Insolvency Institute of Canada. He is also a Board member of the Risk Management Association, a member of the International Insolvency Institute, the insolvency sections of the Turnaround Management Association, the International Bar Association and the American Bankruptcy Institute. John has been recommended as leading lawyer for Insolvency/Restructuring in Who's Who Legal: Canada, The Canadian Legal Lexpert Directory, The Best Lawyers in Canada, Global Insolvency and Restructuring Review, Chambers Global: The World’s Leading Lawyers for Business. Western Concord Manufacturing: Advising with respect to the proposal proceeding commenced pursuant to the Bankruptcy and Insolvency Act (Canada) for the restructuring of the debtors’ plastic packaging and related product business, operating in British Columbia and Alberta. Confidential Technology Company: Acting as counsel to the Senior Secured Lenders in this growth company’s out of Court restructuring. PricewaterhouseCoopers Inc.: Advising as counsel to the firm in its role as the Court-appointed Monitor of Sunrise/Saskatoon Apartments Limited Partnership (and other members of the Sunrise corporate group) in the Companies’ Creditors Arrangement Act restructuring of their multi-unit residential rental business, involving the restructuring of over CA$200 million in secured debt. 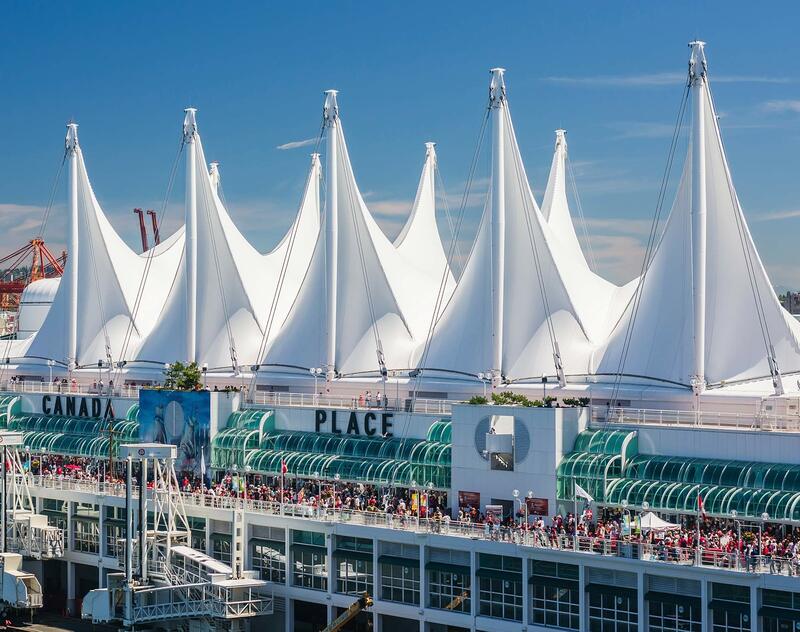 GuestLogix Inc: Acting as counsel to a BC based growth capital fund in connection with the successful restructuring and sale process of this onboard retail and payment technology company under the Companies’ Creditors Arrangement Act. Vistara Capital Partners: Acting as counsel in its capacity as lender, DIP Lender and as agent for itself and Beedie Capital Partners in the CCAA restructuring of GuestLogix Inc. and its affiliates. Confidential Forestry Company: Acting as counsel for this British Columbia based integrated forestry business with operations in multiple Provinces in its out of court restructuring and sale process. Confidential client: Acting as counsel for this British Columbia based integrated forestry business with operations in multiple Provinces in its out of court restructuring and sale process. North American Tungsten Corporation Ltd: Acting as counsel for the Company in all aspects of the restructuring proceedings under the Companies’ Creditors Arrangement Act. North American Tungsten Corporation Ltd. is the Western World's largest producer of tungsten concentrate, a strategic industrial metal required in a wide variety of products ranging from jet turbine engines and high-speed cutting tools to electronic circuitry and surgical instruments. Procon Mining and Tunneling Ltd.: Acting as counsel to the main mine contractor during the restructuring proceedings under the Companies’ Creditors Arrangement Act involving Yukon Zinc Corporation. Catalyst Paper Group of Companies: Acting as counsel for the First Lien Secured Noteholders in the Group’s high profile and complex successful restructuring under the Companies’ Creditors Arrangement Act in Canada as well as Chapter 15 proceedings in the U.S.
Bison Properties: Advising the Senior Lenders in the Receivership and realization and restructuring proceedings involving the iconic Oak Bay Hotel in Victoria, BC. The proceedings led to the successful acquisition of the Hotel by the Lenders. Deloitte Restructuring Inc.: Advising the Court-appointed Monitor in the Stanfield Mining Group’s restructuring under the Companies’ Creditors Arrangement Act. After more than three years in creditor protection, Stanfield’s plan of compromise and arrangement provided the opportunity for over 3500 investors in the business of the Stanfield Group, who had invested approximately CA$140 million, to participate in the future success of the mine. Ernst and Young Inc.: Advising the Receiver in relation to the Receivership and sale of the SOPA Square mixed use development in Kelowna, BC. Vitol Inc.: Acting as counsel in the CCAA proceedings involving Arthon Group and Coalmount Industries. Ability to Register in Personal Property Registry Not Automatically Stayed by CCAA Initial Order - Case Comment: Re. Western Express Airlines Inc.